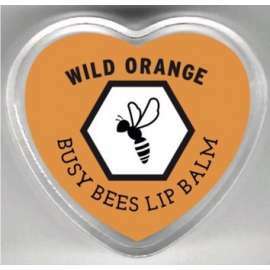 Wholesale Prices for larger orders on some of our most popular items. No delivery charge to most of England & Wales. Bag a bargain. Customers requiring larger quantities should contact the Sales Office for a bespoke quotation. 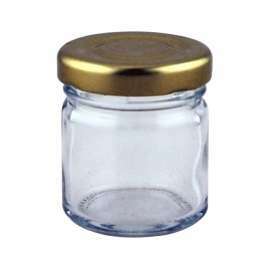 28g 1oz round mini jar supplied with 43mm gold lid. Alternative lid colours available click here to choose . Special Prices for larger orders on some of our most popular items. There are no BBKA discounts available on this item. No delivery charge to most of England & Wales. Bag a bargain. 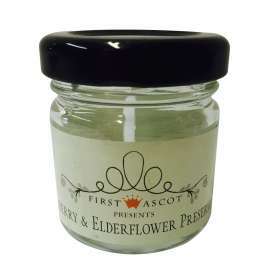 1.5oz round mini jar supplied with 43mm gold lid. Alternative lid colours available click here to choose. 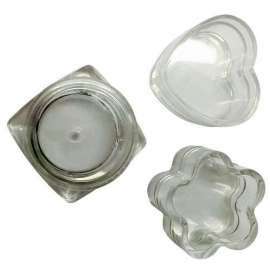 Special Prices for larger orders on some of our most popular items. There are no BBKA discounts available on this item. No delivery charge to most of England & Wales. Bag a bargain. 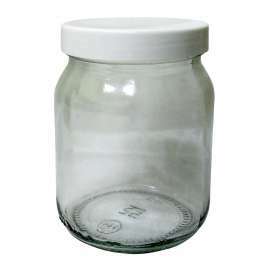 4oz round panel jar supplied with 53mm gold metal lid Special Prices for larger orders on some of our most popular items. No delivery charge to most of England & Wales. Bag a bargain. 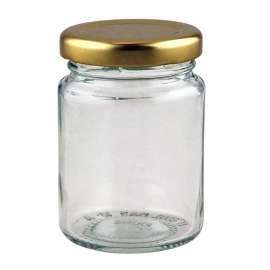 This jar is made in the UK. Support British Business. 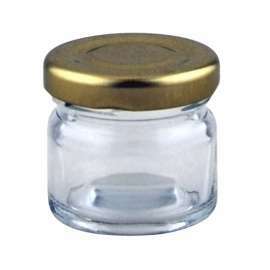 4oz/110ml hexagonal jar supplied with 48mm gold metal lid. 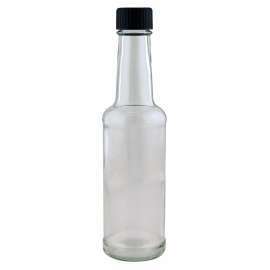 Special Prices for larger orders on some of our most popular items. No delivery charge to most of England & Wales. Bag a bargain. 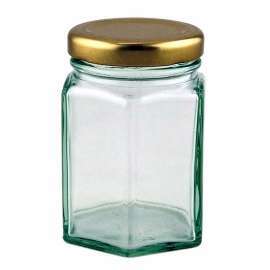 This jar is made in the UK. Support British Business. 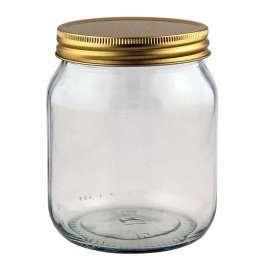 4oz/105ml round jar supplied with 48mm gold metal lid This jar is made in the UK. Support British Business. © 2018 Freeman and Harding Limited. All Rights Reserved.